If you looked up the word activist in the dictionary you'd find a picture of this guy. 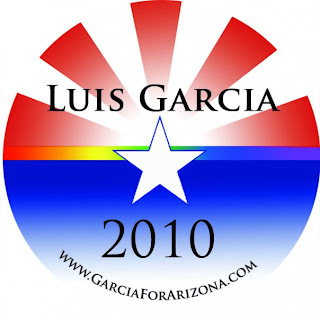 Luis Garcia is one of the founder's of HERO (Human & Equal Rights Organizers). I met him when he was a writer for Echo Magazine. Now I've learned that he dropped his name in the hat to run for a state seat in the Arizona House of Representatives in 2010. He is one of the most involved men I know when it comes to gay and lesbian issues.